Parking is hard! Ivy Stewart’s experience! I am out and about showing houses, as a realtor for The Group Real Estate, in Idaho Falls all the time so I understand bad parking in parking lots during the winter when no one can see the lines, but in the last couple of weeks I have hit the Wal-Mart bad parking jackpot. The first picture I snapped right before the owner came out of the store. He literally parked right in front of the cart return thinking it was a spot, but no one could put their carts away. It made me laugh when he had to walk across to the other side because he blocked himself from being able to return his cart. I should have taken a picture of how he returned his cart too. The cart return literally was empty, but he returned the cart on the outside of the return. So he parks in the cart return space, and his cart on the outside of it. The second one wasn’t quite as funny, but thought I’d add it to the collection. 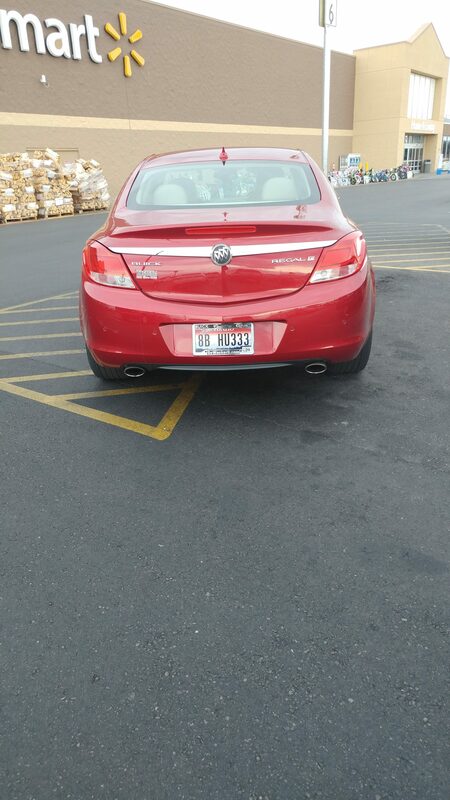 There was a handicap sticker on the car, so I’m guessing they thought the striped lines was reserved for ♿ parking. Either that, or they just really don’t take pride in parking between the lines. 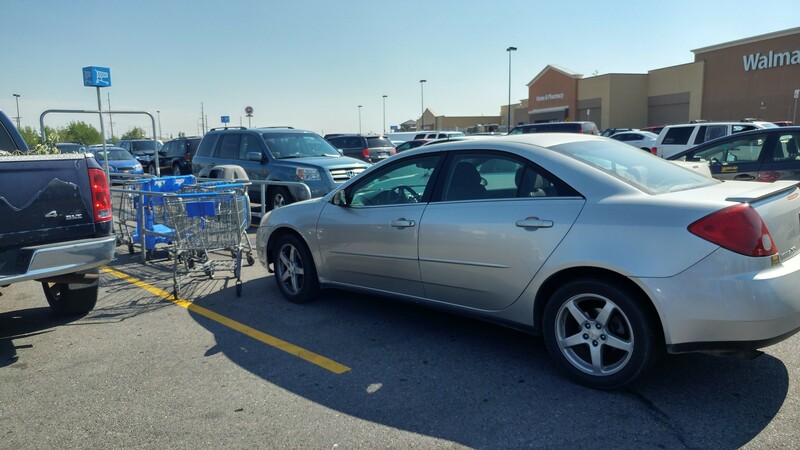 Wal-Mart is notorious for bad dressers, but it looks like it’s seeping over to bad parking.